Made with pumice and star-shaped for cleaner teeth and gums, our Dental Dailies help reduce the kind of plaque and tartar build-up that causes gum disease. 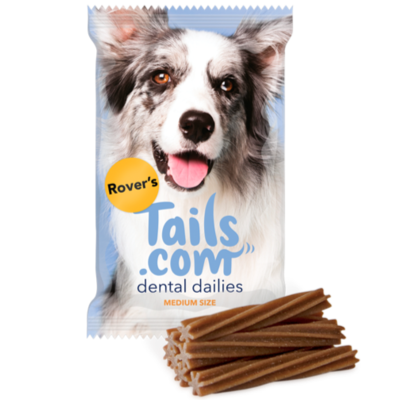 Add them to your monthly delivery, and that’s the easiest part of your dog’s dental routine done. We make Dental Dailies in packs of seven, with three different sizes to choose from – small, medium and large. A few packs in your box each month means easy one-a-day dental care for shih tzus, staffies and St. Bernards alike. 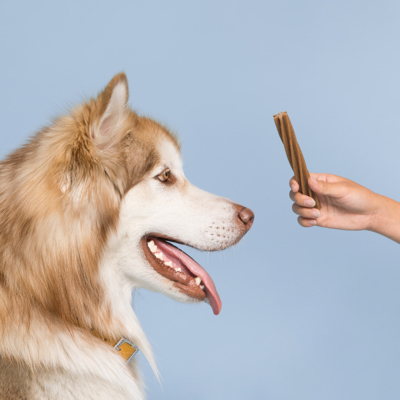 Made with tasty chicken and enriched with vitamins, Dental Dailies are a delicious and healthy treat for your dog. Add them to your deliveries and we’ll make them part your dog’s feeding plan. Healthy teeth, healthy dog.